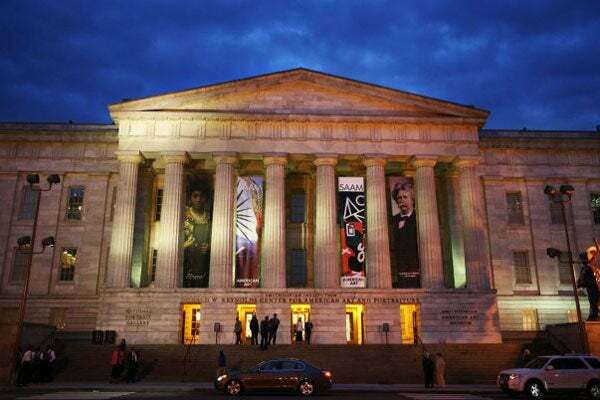 Start your weekend festivities early at the Smithsonian's American Art Museum Take 5! party. The bash, held every summer, coincides with one of the renowned museum's awe-inspiring exhibit. This year, the exhibit in question is African American Artists: Harlem Renaissance, Civil Rights Era, and Beyond, and the celebrated work is that of prestigious jazz artist Thelonious Monk. Interested? Snag admission, and you'll get to hang out in the Kogod Courtyard and unwind while listening to the sweet stylings of acclaimed jazz musician Harold Summey. Plus, you can indulge in treats from the oh-so-yummy Courtyard Cafe. To make it a perfect date night, borrow board games from the museum and challenge your special someone to a Monopoly duel. Let the games begin! When: Thursday, June 21, from 5 to 8 p.m.
Where: Smithsonian American Art Museum, Kogod Courtyard, 750 9th Street NW; 202-633-7970.